I’m a sucker for comfy clothes that make it all easy. I love a dash of simplicity in any outfit an if you know me, I’m more probably than not hanging on to my denims. Here’s my perfect way to style them. 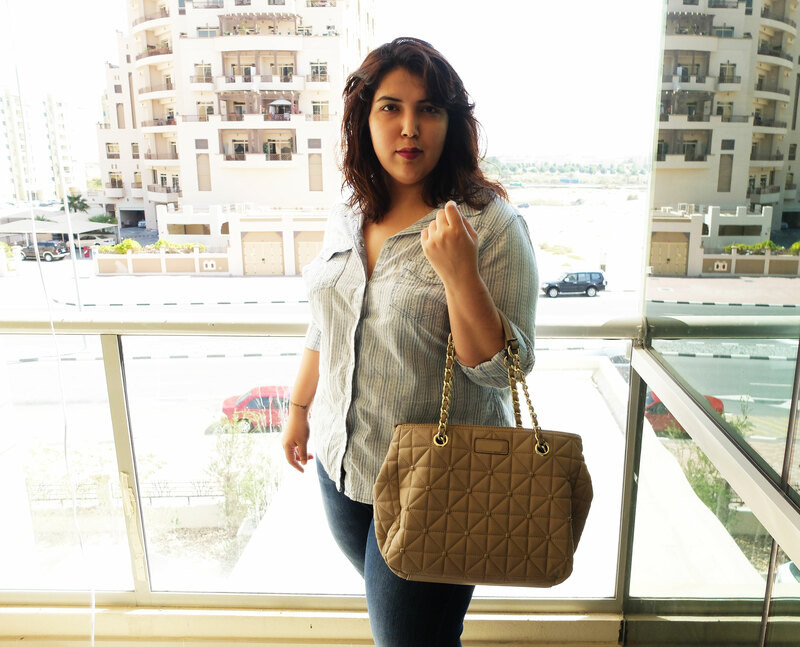 Marks & Spencers make the best denims for plus size women. There are different styles and shapes and my favourite are straight leg and boyfriend jeans. So when they got in touch with me, I was elated. I’ve been wearing too many casuals and formals from them for over 2 years and I love their stuff. Coming back to the outfit, if blue and blue is not your thing – Here’s another suggestion, go white. 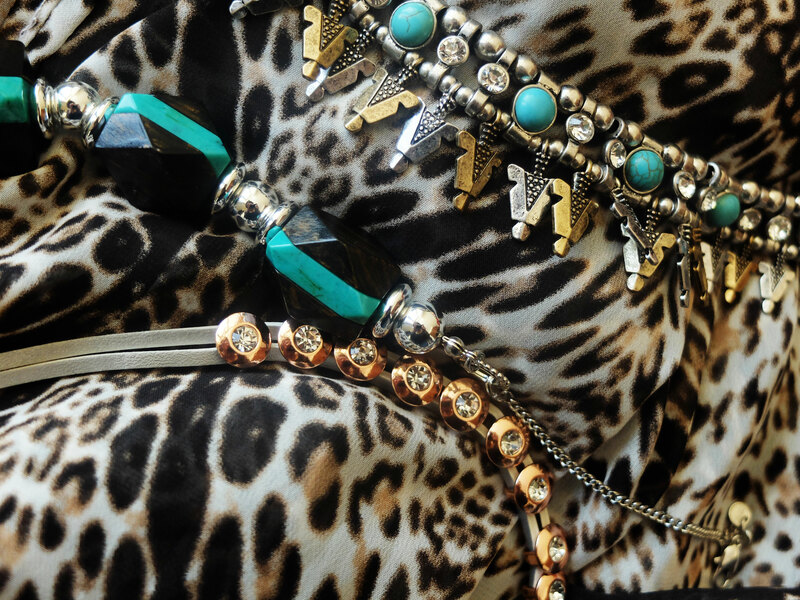 The classic combination can be perked up with a statement necklace. 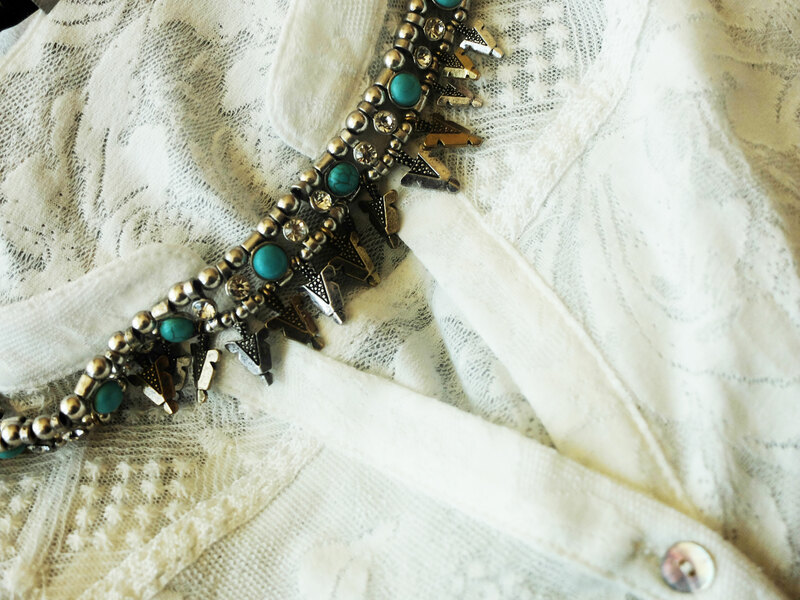 Instead of a shirt, opt for a top that has more personality and depth and this shirt with lace inserts. And to top off this outfit post as the post suggests, here’s three of my favourite necklaces from M&S this season. I’m loving aquatic themed necklaces and rose-gold is an all time fav! Do check these out if you pop into M&S soon.